｢カルメン｣前奏曲 is a speed remix of Georges Bizet's Carmen. 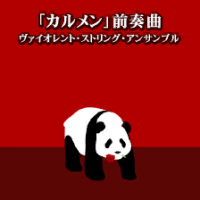 Another arrangement, titled オペラ・カルメンより「闘牛士」, appears in ポップンミュージック. A dance remix, titled パラパラカルメン, appears in DanceDanceRevolution with MARIO. This page was last edited on 31 March 2019, at 12:53.